Cynthia Arochi Zendejas our Regional Director of Latin America tells us a little about her part in organizing the 21st Congress of the Mesoamerican Society For Biology And Conservation (SMBC) and the 4th Congress of Partners in Flight (PIF), an international ornithology organization. She also reflects on how conservation has changed over the past 20 years and how women have been key figures in shaping this development. I can only define the 21st SMBC Congress as a waterfall of knowledge from different corners of American’s two continents. Participants came from Canada, USA, Mexico, Cuba, Guatemala, Honduras, Belize, El Salvador, Nicaragua, Costa Rica, Panama, Colombia, Ecuador, and Peru. Some contributors also came from Spain, New Zealand, and the UK. The event was supported by more than 600 assistants and countless topics were presented, which made me realize again, just how much knowledge there is to take advantage of in the world of science, biology, and conservation. At times nine different talks and symposiums took places in different rooms at the same time, which meant you had to make a difficult choice about which you were more interested in attending. Overall 15 symposiums took place according to groups of interest, from species-specific talks about felines, bats, primates, psittacines (parrots), elasmobranchs (sharks, skates and rays) to more general topics like the importance of wetlands, the effect of exotic invasive species on a local habitat, how biological corridors (an area which connects isolated habitats) can be used to maintain biodiversity, how citizens could and should participate more in wildlife conservation, the IUCN red and green lists, and of course, the topic of the Congress, the role of women in conservation. 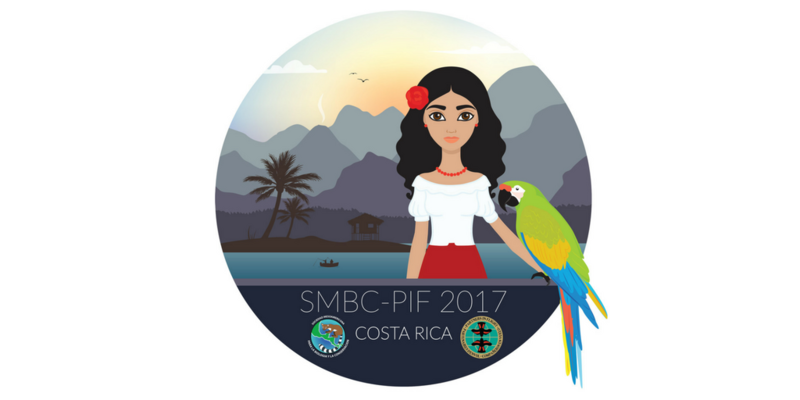 In addition, the SMBC Congress hosted the VI Partners in Flight Congress (PIF), which brought together academics specializing in bird research from more than 150 partner organizations across the Western Hemisphere. It was quite fascinating to see how a group could spend an entire day talking about only one species of honeybird, and how passionate they were about it. GVI’s Costa Rica staff also participated. The Jalova team, Victoria Hawkins, and Megan Brett, presented a poster featuring the analysis of the past 6 years of data gathered in the Southern end of Tortuguero National Park. The poster showcased evidence of an increasingly healthier ecosystem through the steady increase in the number of species found each year. Our Quepos team, Luis, and Eunice Jimenez, also worked tirelessly throughout the whole week, supporting the logistics and volunteer committee. It was a great opportunity to display the results of the data that all GVI volunteers and staff have helped to gather throughout the years, create potential partnerships, network, and learn about what is happening in the world of science. Our jaguar partners, Coastal Jaguar Conservation, also presented a poster with our staff member, Danny Guy, and held several talks during the jaguar symposium. I myself was part of the organizing committee of the Congress, and ell you a little about how I got involved, what it took to put all of this together, and a few interesting developments in conservation that I learned about while in attendance. After overseeing GVI’s projects in Mexico for 9 years, I took over the Country Director position in Costa Rica in September 2015. In May 2016, I received an email from the SMBC inviting me to attend a series of talks on the role of genetics in conservation. I thought that this was an interesting topic and a great opportunity to learn about new developments in science, expand my own professional network, and scout opportunities for our Costa Rica wildlife project. It turned out to be a great conference, so I inquired about becoming a permanent member of the society. The society is a legal entity registered in Costa Rica, created to facilitate knowledge exchange between members of the Mesoamerican Countries that compose it. Each country represents a chapter, and each year the members organize different events in their home country and a big International Congress in a chosen country. Costa Rica was chosen to host the 2017 Congress, so, naturally, as part of the society, I got involved in the organization committee. As a new member of the SMBC, I wasn’t sure what to expect or how it would work, but I was excited as I have had some experience organizing events and congresses in the past. I was asked to head the volunteer committee together with two others. We decided to make it a green event and worked to use the least possible paper or plastic by making the badges and notebooks from wood. However, we realized that this would be rather expensive and we needed to strike a balance between being ecologically sound and economically viable, which meant we needed to compromise. We decided to only have electronic versions of the program to avoid paper waste being thrown in the bin, but this was a bit difficult for some assistants who were more familiar with paper programs. Luckily, they quickly got used to using their phone instead. The coordinator of the Congress, Zaida Piedra Cerdas, completed many hours of work behind the scenes. Can you imagine reading and choosing more than 1000 articles and choosing the best ones, liaising with the venue, organizing the catering, the external providers, the website developers and all the other contributors to the event. Volunteers played a key role in the successful organization of these type of events. Katherine Ullate and Alberto Rico were appointed to recruit volunteers. They approached several universities recruiting volunteers mainly from the biology faculty. Ismael Guido and Alexander Gomez Lepiz found a partner in Universidad Nacional of Costa Rica (La UNA) who declared the Congress of ‘Institutional Interest’ which helped with recruiting efforts. 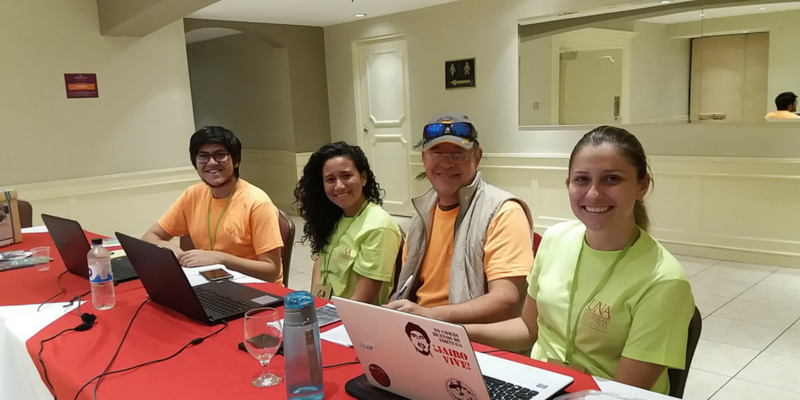 Most of the volunteers recruited were from the National University (UNA), the University of Costa Rican (UCR) and the Latin University (Universidad Latina). They were all given special perks in terms of access to the Congress. It is estimated that as much as two-thirds of the original forest cover of Central America has disappeared since 1950. The majority of this deforestation has taken place along the Pacific Watershed, yet there has also been an alarming increase in forest loss on the Caribbean side in the past few decades. This pattern of deforestation, however, is not restricted to Central America but is occurring worldwide. The indigenous peoples living along this Pacific watershed have been subjected to the greatest changes in their cultural identity. Most of them have lost their native languages and rights to their ancestral lands. 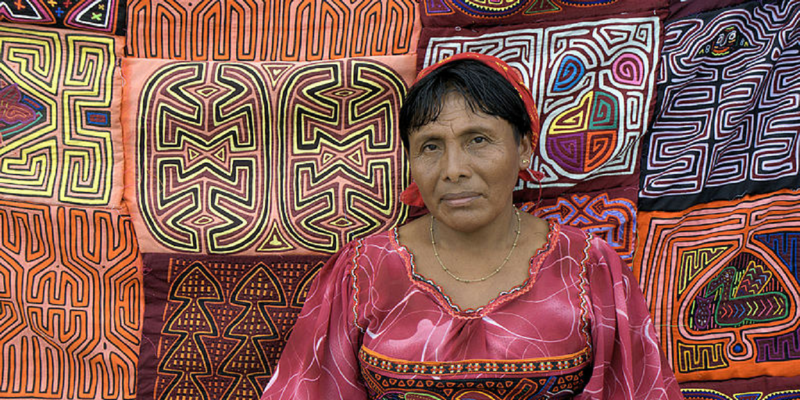 Yet despite these pressures, some indigenous peoples maintain cultural practices that contribute to the preservation of the ecosystems in which they live. One of the most interesting talks I managed to attend was that of, Robert Thigpen who is putting together a series of scientific nature books written in the indigenous languages of Central America. Local indigenous people know and preserve nature, but no science books exist in their language and one teaches them the subject in their own language. The aim of this project is to give them ownership over conservation efforts in addition to their language, culture, and traditions. Robert Thigpen explained that the project has been a challenging but rewarding experience. His team needs to spend a lot of time in the community and work with a local translator in order to gain their trust. Most of these people don’t learn how to read or write in their own native language so they are often reluctant to give the books a try. However, once they do, they are often very happily surprised. 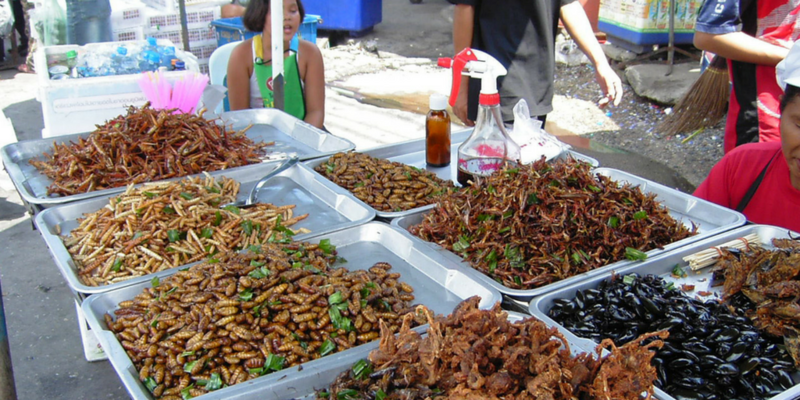 Another interesting topic discussed at the Congress was the use insects for food, which, are a better source of protein than meat. Personally, I really believe this is the key to tackling undernourishment and hunger in the future, not to mention that you don’t need to destroy hundreds of acres of jungle to produce it. On top of that, it provides alternative income sources because setting up and keeping an insect farm running is relatively affordable. However, I learned at the Congress that production is currently expensive due to the low demand caused, no doubt, by cultural prejudices. The researcher presenting the work mentioned that many farms needed to shut down due low demand and that much of what is being produced is exported to China. He wasn’t very optimistic about the future of production in Mexico. I was quite surprised by all of this, as I remember, even when I was at University, that people were already talking about how insects could solve hunger and conservation issues and I thought that by now, there should have been a lot of progress in the right direction, at least in Mexico, where insect dishes are rather common. Happily, the producers are finding ways for this nutritious and sustainable source of protein to enter the market in the shape of sauces, salsas or snacks. Prices are still high, but hopefully, this will change one day. What Has Changed In Conservation Over The Past 20 Years? Attending this Congress made me think of the days when I just started out in my career more than 20 years ago. While we continue to gain more knowledge and discover new things, there are still many challenges ahead. However, things have changed. The connections between science, production, environmental education, and communication are closer than they were 20 years ago. People are more keen on networking and exchanging information, learning from the experience of others in order to apply this knowledge in their own countries or research areas. There are also differences in the way in which natural resources are being managed in different countries. An example of these are the biological corridors in Costa Rica and those in Mexico. The first has many green and protected areas while the latter has more and more highways and buildings cutting these corridors, yet both have the same challenges such as the lack of rangers to protect and supervise the protected areas. It was also interesting to see how species were classified as having a different level of threat depending on the country or the area in which they are located. For example, the jaguar is classified under the Threatened category by the IUCN, but in a park in Panama, they are considered Endangered, due to their low numbers and the severity of the threats. I know that in Mexico, they are classified as Endangered as well due to the rapid loss of its habitat. It was often very upsetting to read about a car having hit one on a road. In Costa Rica, jaguars are also considered Threatened due to the destruction of its habitat, poaching, and farmers believing that they prey on cattle. However, there are many positive trends. 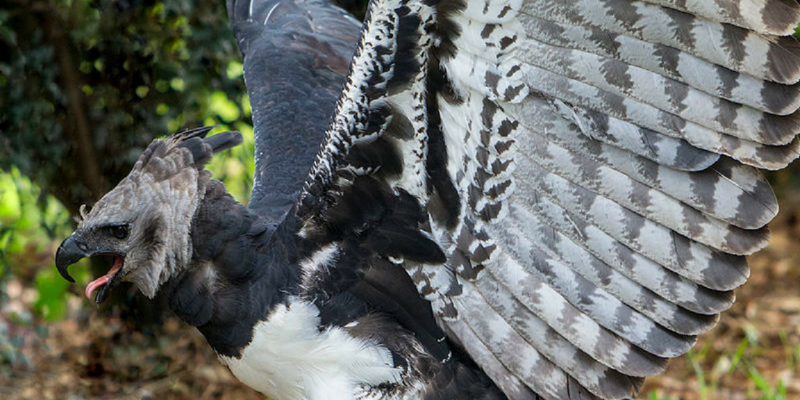 When I was studying Veterinary Medicine I remember hearing a lot about a doctor who studied and bred the harpy eagle which was on its way to extinction. At the Congress, I heard that drone technology is now being used to help researchers in Panama study and protect it. Another recent development is the IUCN Green List, a new global standard for protected areas, which puts a more positive spin on the biodiversity crisis than the well-known IUCN Red List. A private park will the first protected area in Costa Rica to be added to this new Green List. 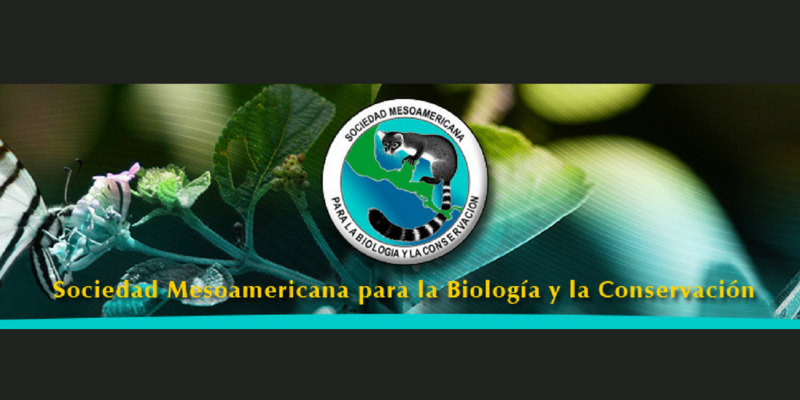 The theme of the Congress was women shaping conservation in the Mesoamerican area. As a woman, I feel so proud to have met and worked with so many other women during my life, whose hard work and dedication inspired me to become who I am, and continues to inspire me. I am incredibly grateful to all the women who lead the way for us by working in conservation and biology when the conditions were not too favorable for women throughout the world. 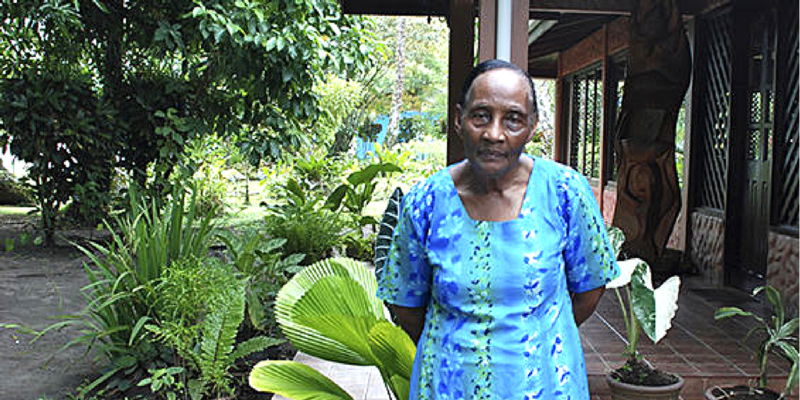 On this note, I was privileged to meet Junie Martinez Martinez, one of the first woman to work with Archie Carr, who championed the registration of Tortuguero as a National Park. 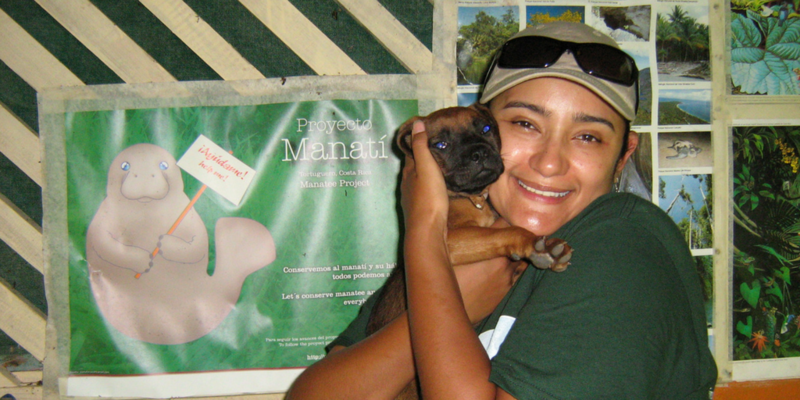 Martinez was one of the women that the committee chose to honor for her work in conservation. She told me that she worked with him side-by-side and that she and her family continue working in Tortuguero to further turtle protection and conservation efforts. She was familiar with GVI and the work we do there, which just goes to show the valuable community impact of such a long-term project. 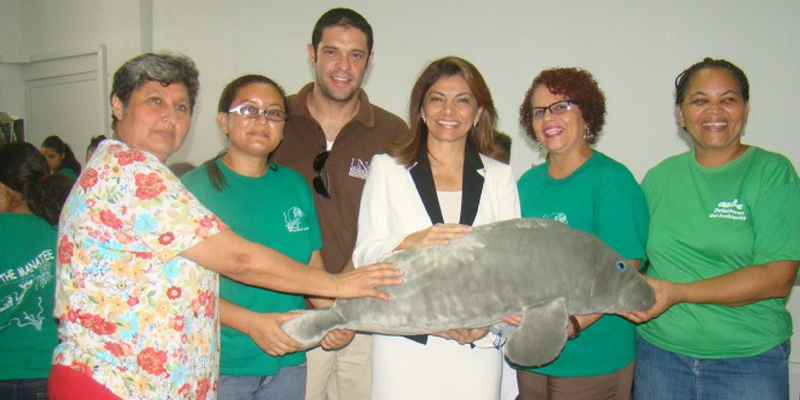 Two other interesting women recognized by the Committee were, Yanette Ibarra Chavarria and Vianney Ruiz Carrillo, who were able to get the manatee recognized as Costa Rica’s national marine mammal. Other women recognized by the Committee, were Guisselle Monge Arias, Jenny Reynolds Vargas, Winnie Hallwachs and Zaida Piedra Cerdas for their exceptional dedication and work in different fields from macaw and manatee studies to underwater river and forest conservation. One of the highlights of the Congress was listening to Winnie Hallwachs, one of the first woman who worked on creating protected national parks in Costa Rica in the 70’s. 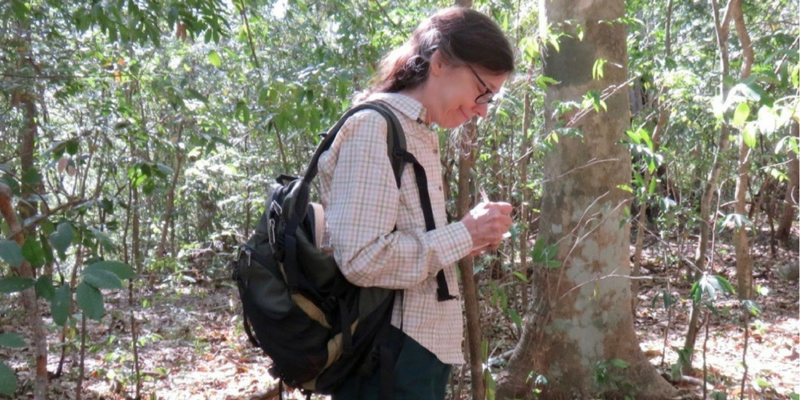 In 1985, she and her husband, academic field biologists, founded a conservation startup, to increase the protected acreage of what is today the ACG, Area of Conservation of Guanacaste, a highly endangered tropical dry forest. In her talk, she focused not only on science but about her life and the road to where we are now in conservation. A large number of women at every level of their careers attended the Congress, from women just completing their Bachelor degrees to women with Masters or PhDs. They all attended and shared their knowledge. It was also especially inspiring to see the enthusiasm of the young volunteers, their thirst for knowledge and a keen interest in networking. I saw myself reflected in them 20 years ago. It was wonderful to see that biology, conservation, and science is in good hands for the years to come.